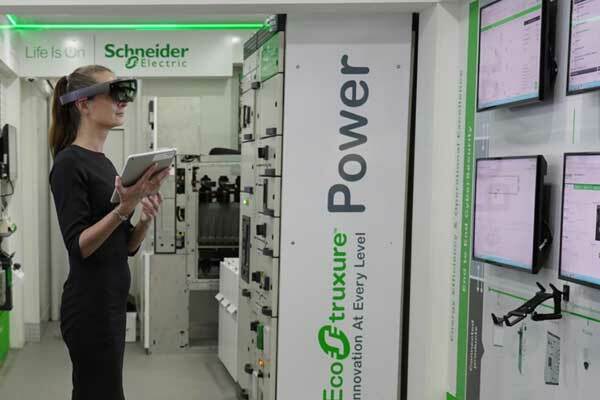 Schneider Electric, a leader in digital transformation of energy management and automation, is showcasing the latest innovations in mixed reality at the ongoing Gitex Technology Week 2018, in Dubai, UAE. Gitex Technology Week, a major information and communications technology (ICT) trade fair, which opened on October 14 will conclude tomorrow October 18, at the Dubai World Trade Centre. Visitors to the Innovation Hub on Wheels can use augmented reality tablets and Microsoft HoloLens holograms to virtually check, dismantle, and repair an industrial system, said a statement from the company.